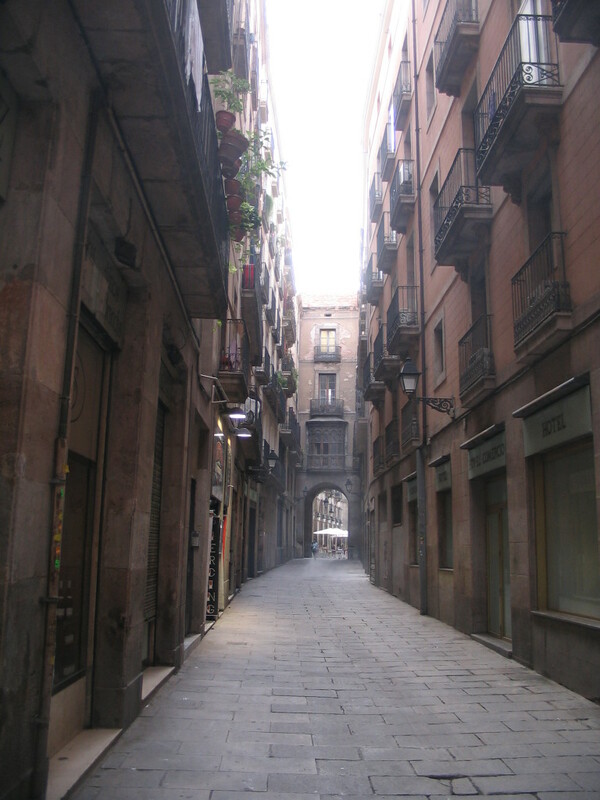 From Santa Maria del Mar I gradually rambled back toward El Raval. "Carl, I really feel like we're being watched." "It'll pass, honey. Just try to relax and enjoy the sights." These guys are, incongruously, right at the southwestern corner of Santa Maria del Mar. 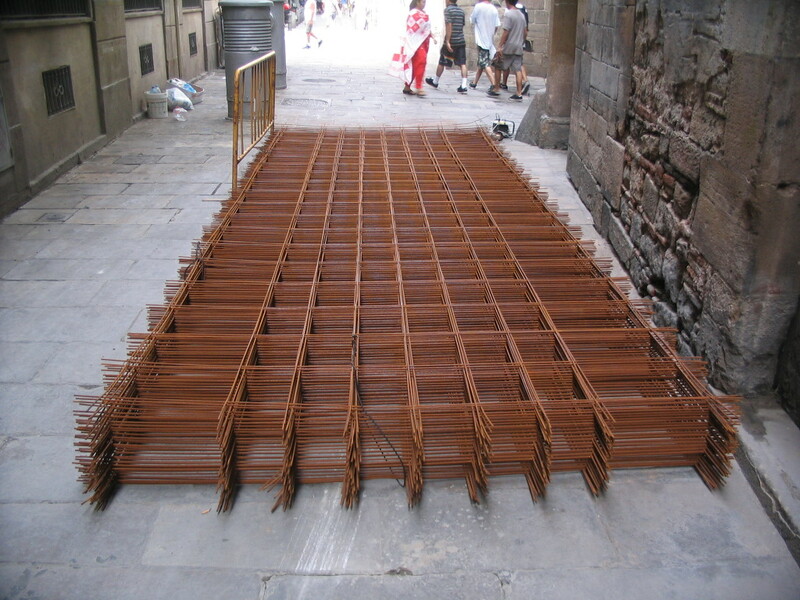 Just down Carrer dels Abaixadors, by Carrer de les Caputxes, a fine harvest of rebar mesh. 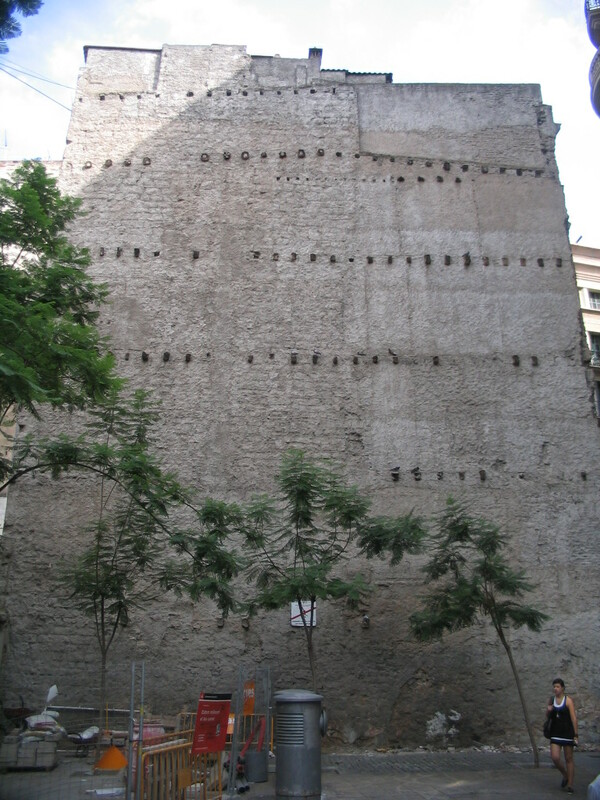 At the southeastern end of the Plaça de Victor Balaguer along Carrer de la Nau, an exposed party wall saturated with truncated floor beams. 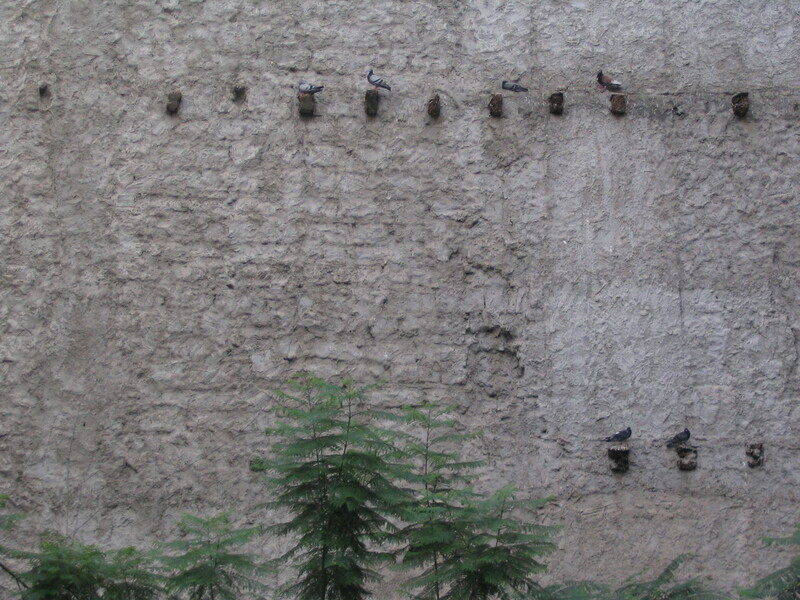 The beams as well as the crags in the masonry are, predictably, popular with the pigeons. 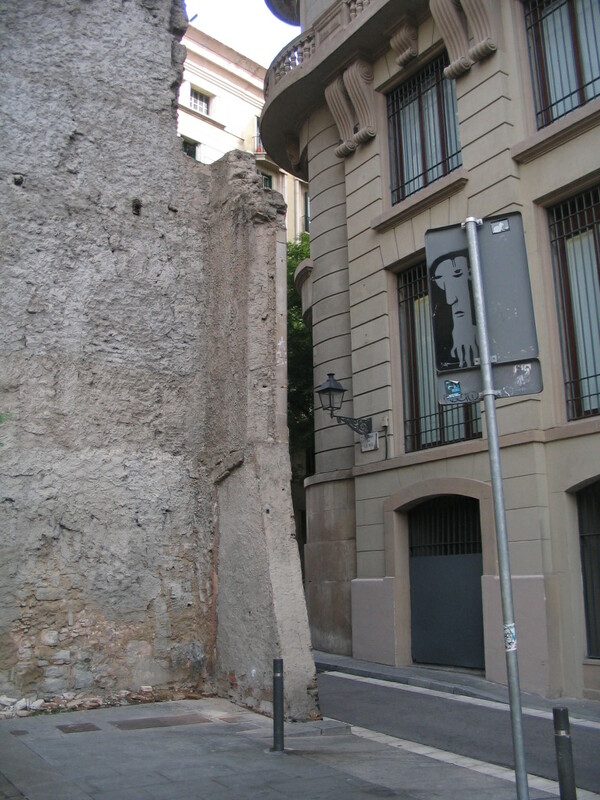 At the edge of the craggy wall is this fragment of another wall, finished with stone on the righthand side, as well as an unnerving back-of-sign graffito. 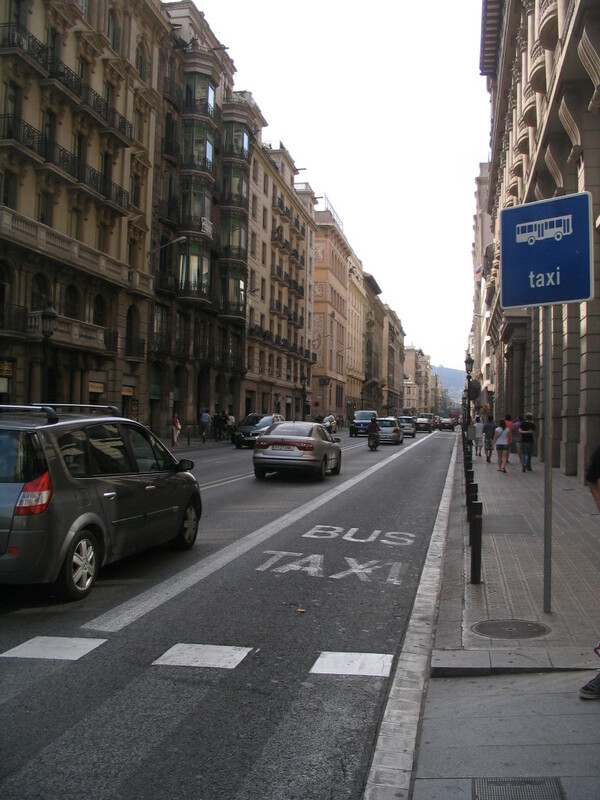 Crossing Via Laietana near the seaward edge of the Ciutat Vella, looking out toward Barceloneta. 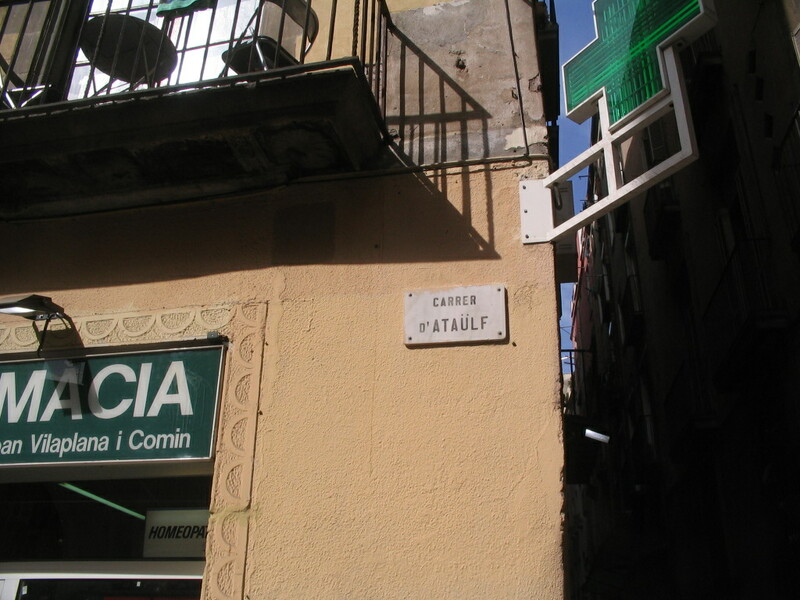 Laietana slicing like a laser through the Ciutat Vella — and beyond: it continues through the Eixample as the Carrer de Pau Claris. The building on the mountainside is perhaps the Gran Hotel La Florida on the northeastern slope of Tibidabo. 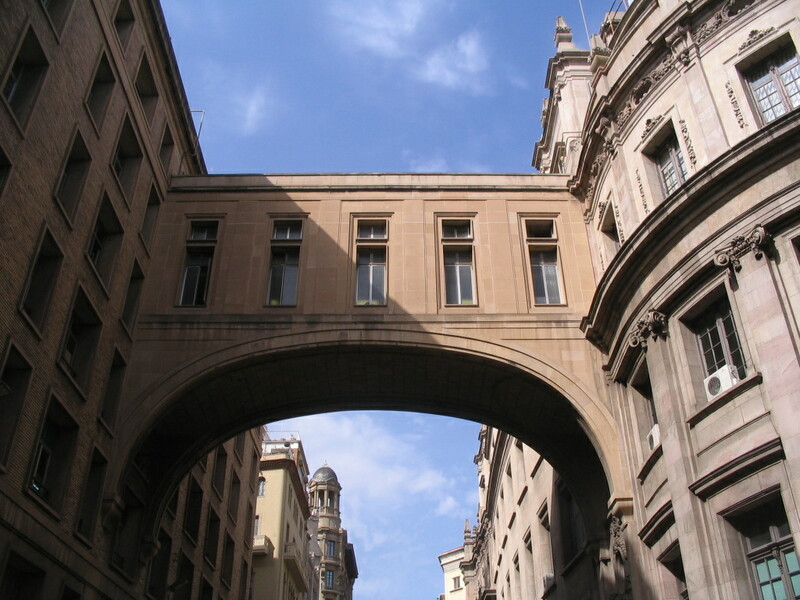 A grand bridge over the Carrer d'Àngel J. Baixeras, an order of magnitude longer than the Arlet one. 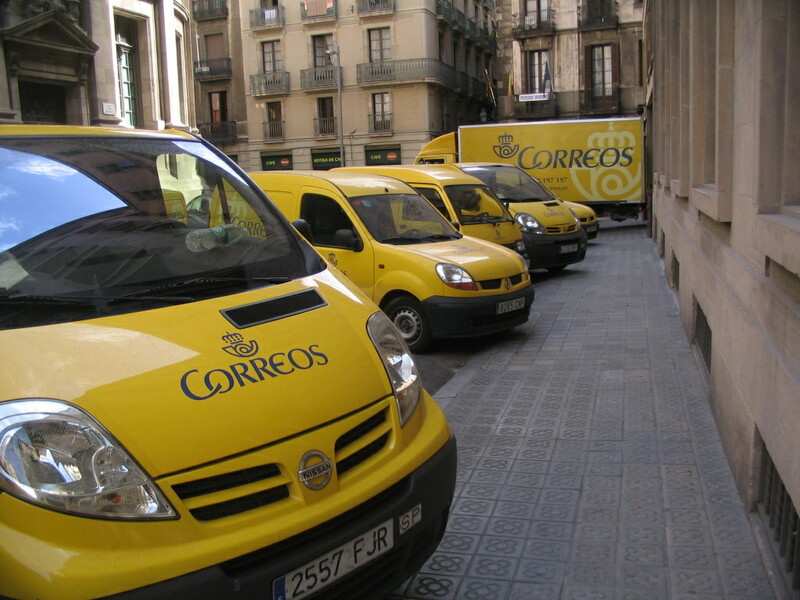 It seems unlikely that a fleet of postal vehicles could be characterized as cute, and yet here we are. The sunny side of the bridge. 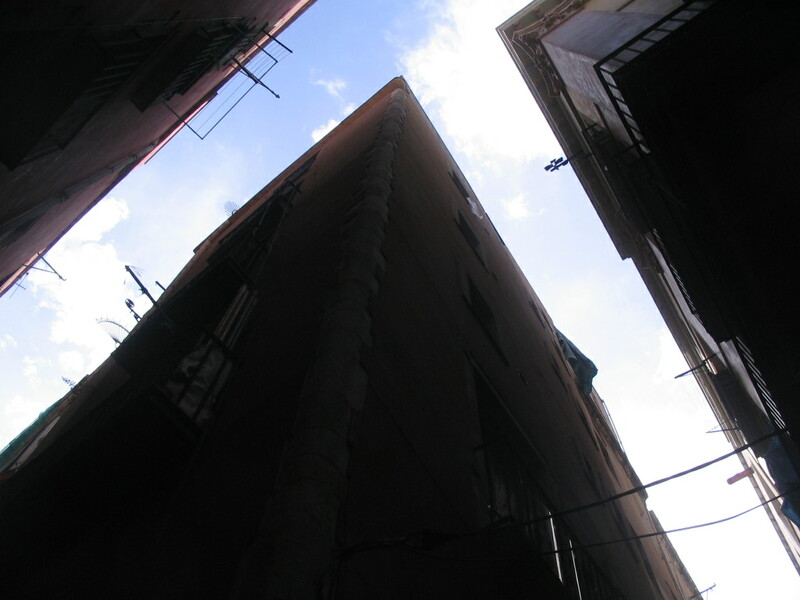 A sky L somewhere along Carrer d'En Gignàs. 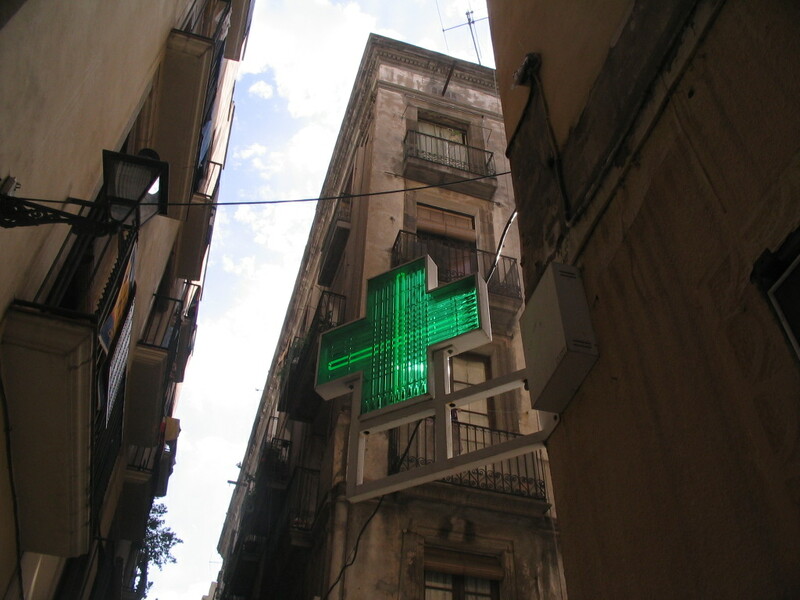 These illuminated crosses, often with animated lights, are ubiquitous harbingers of farmàcies, as you've perhaps noticed already. Wow, this Carrer's name is totally metal. Hmm. Unexpected. 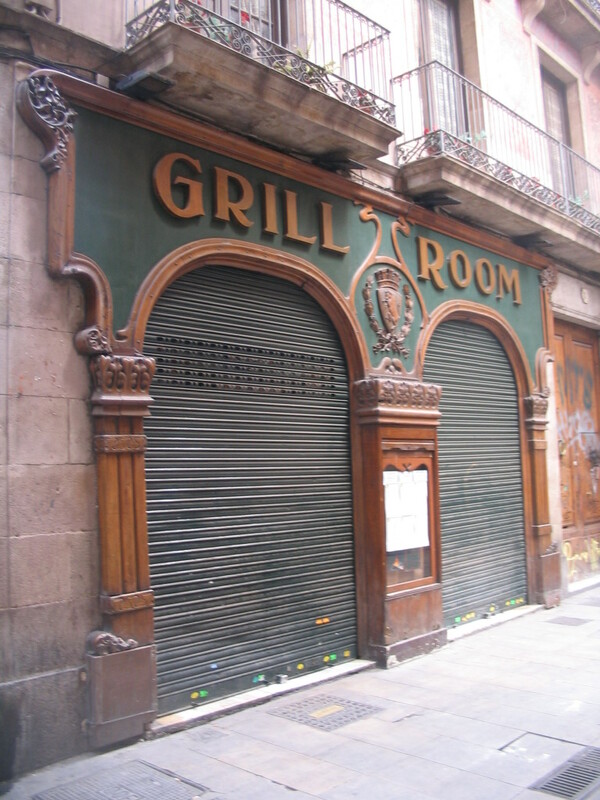 This is at Carrer dels Escudellers across from Carrer Nou de Zurbano. Yet another building bridge, a multistory one, particularly appealing with its bay window despite a somewhat dilapidated state. 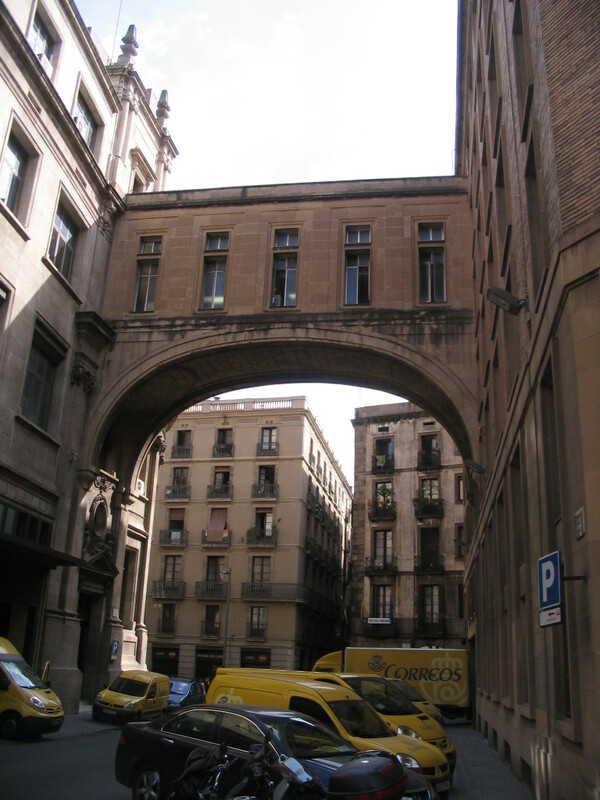 This is nearly the full extent of Carrer Nou de Zurbano, which crosses into the Plaça Reial under the bridge. 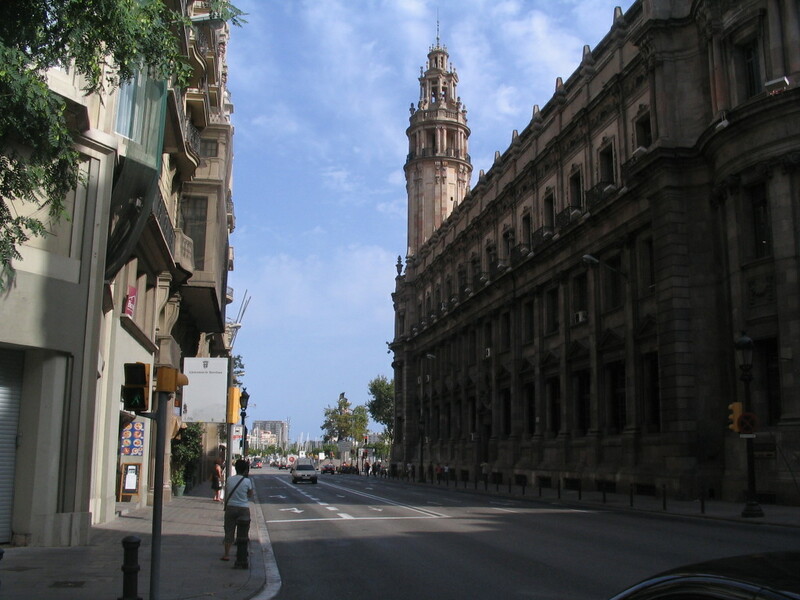 The southwestern arcade of the Plaça can be seen beyond. 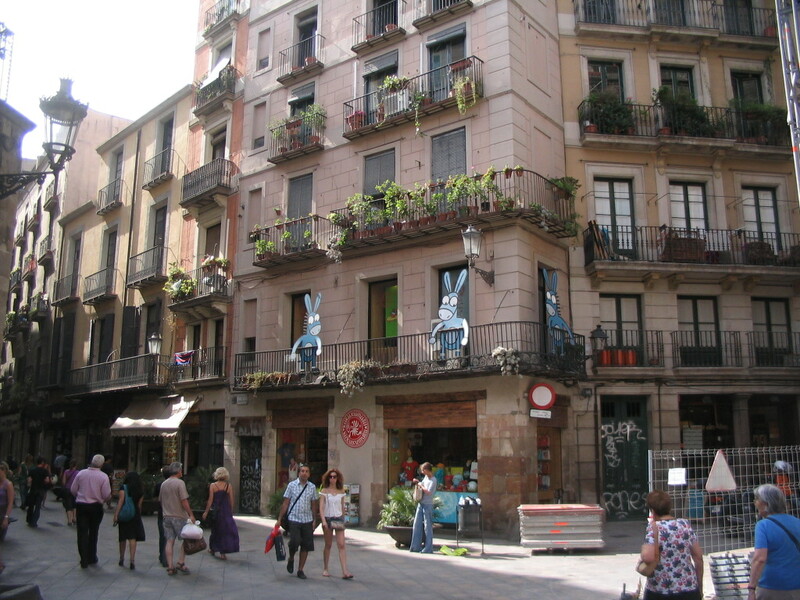 Then out to the Rambla at Carrer d'Escudellers. 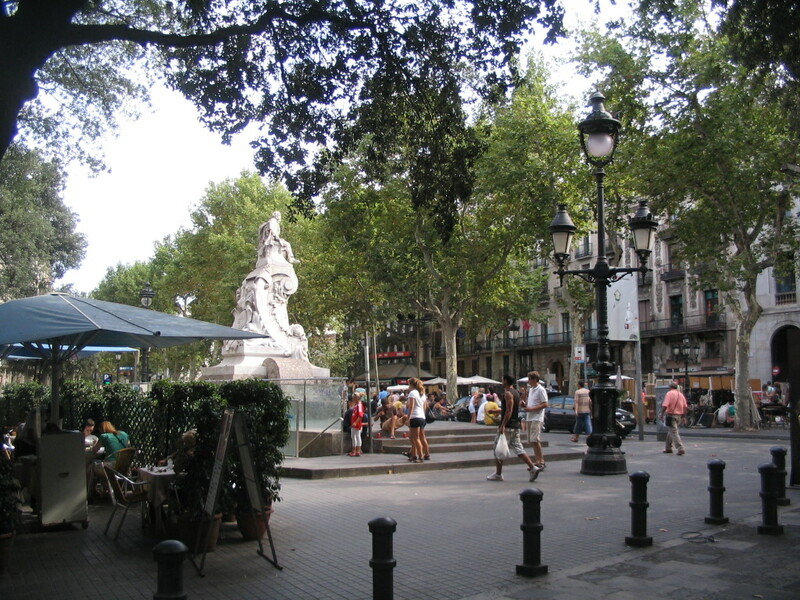 The statue is a monument to the playwright Frederic Soler, created in 1906 by the sculptor Agustí Querol and the architect Pere Falqués.